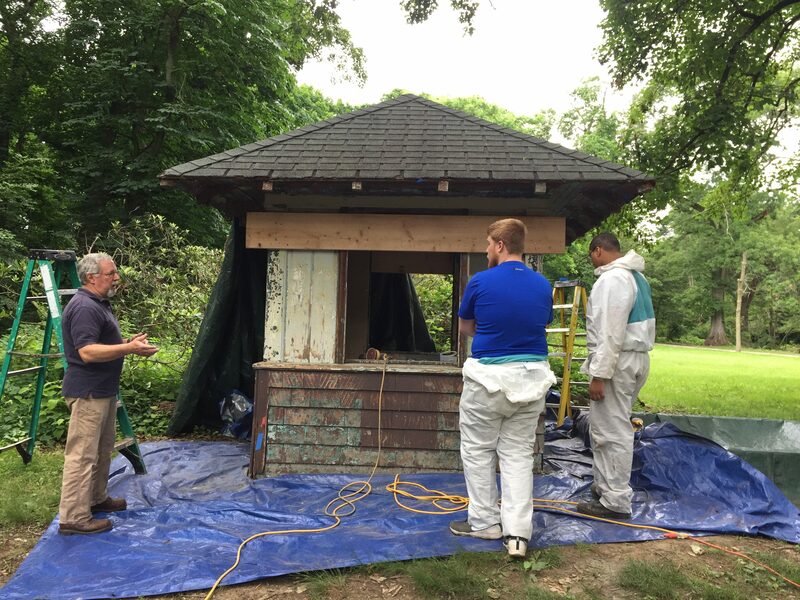 This past summer, Fairmount Park Conservancy was pleased to offer preservation and apprenticeships to a select number of college students across the country. 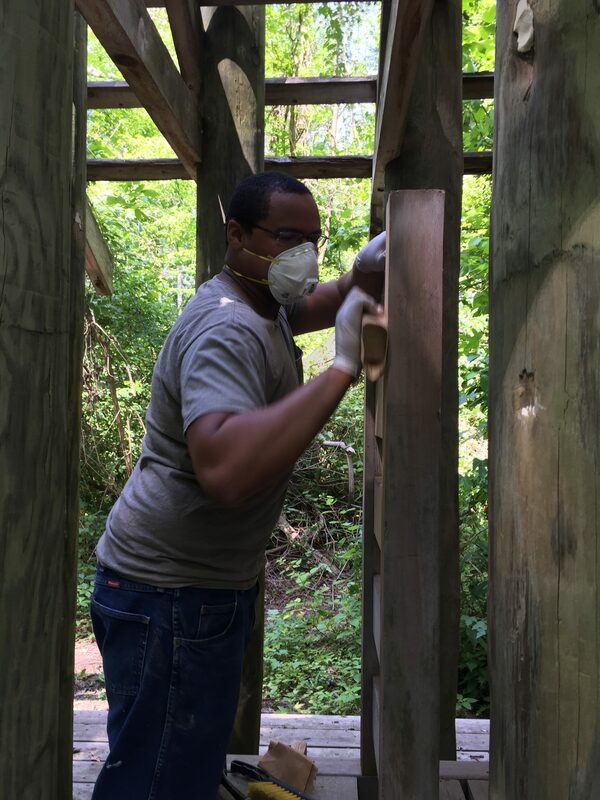 Donte Rosa-Gary, who is currently studying residential remodeling at Thaddeus Stevens College of Technology, spent the summer with the Conservancy’s conservation team, learning the ins and outs of preservation. 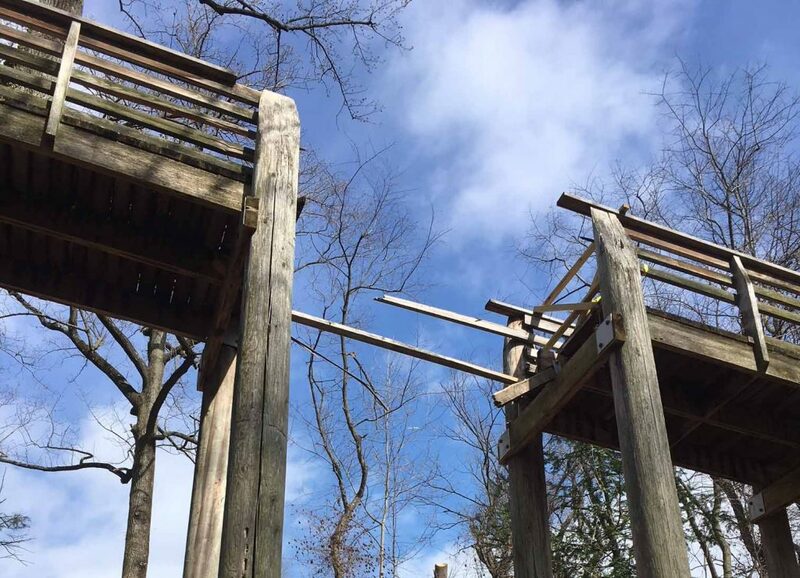 He wrote about his experience interning with the Conservancy for his school, shared below. This was an interesting summer for sure; new faces, new concepts, and a new understanding of preservation trades. I spent the summer at Fairmount Park Conservancy as a Preservation Trades Apprentice with the Pennsylvania Historical and Museum Commission through a grant my college, Thaddeus Stevens College of Technology, received from Ddora Foundation. Coming from Philadelphia, I was excited to be selected to participate in this program and be able to work in my field while living back at home. I graduated from YouthBuild Charter High School in 2016 and was so lucky to have received the Stevens Grant to attend Thaddeus Stevens College of Technology for free. Having had some experience working at PECO Energy in Philly as an intern and competing in SkillsUSA in high school, I had some basic electrical knowledge and wanted to combine that with other construction skills. At Stevens, I spent the first year in academic classes before starting the Residential Remodeling program in 2017. There were so many things I learned at Fairmount Park Conservancy this summer. One thing I will take with me forever is learning how to stop, slow down, and assess the problem first before “assuming” what I am looking at is unusable. It’s important to take a closer look to see if it can be repaired or restored. In school, everything we do is new. We build, install, wire–we create something new. 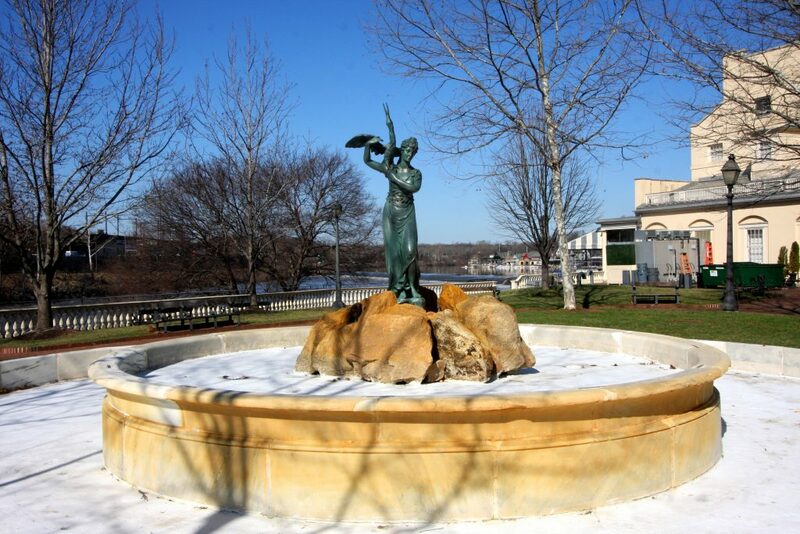 In the preservation trades, we start with something old and carefully work to bring it back to its original luster. Donte with Ray Tschoepe, Director of Conservation, restoring the Temple Guard Box. One of the projects I worked on a lot was windows. We would have to scrape off all the old lead paint, scraping all the way down to the wood – it was a mess. I learned techniques on how to restore and preserve old windows and doors, door jams and sashes. Before this summer, I would never have known that old style windows are so much more beautiful than the windows we typically install in new buildings or new renovations. I even learned something new about epoxy. I thought it was only used for deep gashes. There are actually different types of epoxy for different uses. One of my favorite projects was the Temple Guard Box; there aren’t many left. I was able to work together with another Preservation Trades intern from a college in Nebraska studying Architecture. 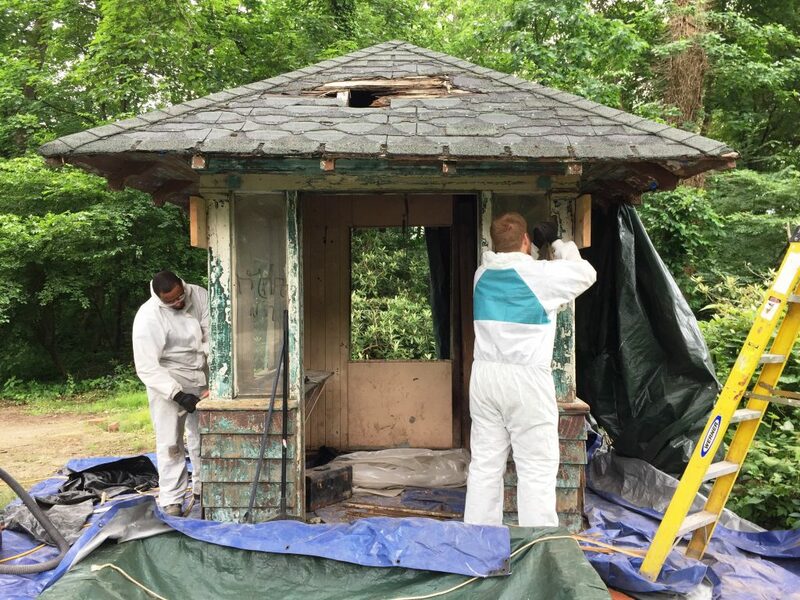 We worked to restore the box by removing rotted wood, scraped off lead paint, even repaired the roof. A huge “wow” for me was the idea that you can’t judge a book by its cover. I learned to appreciate and respect historic buildings, taking the time to trouble shoot, diagnose the problem, and make a plan to carefully restore it to its original form. Also, there are so many different aspects to preservation trades. Some of what I worked on had to do with masonry. We learned the proper ways to mix and apply Limewash. When working with mortar, I learned that adding in Micah can help to make it look like it did originally – it adds shine to the piece. I even learned how important primer is and the difference between latex and oil paint. Above all, I learned that communication is critical to the successful completion of the project no matter what that project is. Donte at “Thoreau’s Hut” in Pennypack Park. It’s one of three sculptures by Ed Levine in Pennypack Park that were part of a larger body of work called Embodying Thoreau: Dwelling, Sitting, Watching. An important aspect of preservation trades is being safe when working. We learned about proper PPE when dealing with different substances (i.e. lead paint, paint removal (chemical paint strippers), while sanding, ladder safety… on Fridays we had “Safety Discussions”. Lucy Strackhouse, the Conservancy’s Director of Preservation and Project Management, would talk with us about what we were working on and discussed proper safety guidelines for each project. One of the things that surprised me were the job sites themselves. They were all at different locations – each and every job site was beautiful, historic, and well preserved. Seeing the start and finish was amazing and I was surprised that the staff at each location knew the history of the entire place. All in all, I had the opportunity to work with master craftspeople, other interns from colleges across the country, and project managers. They all guided us to make sure we were doing the work correctly and constantly helped us with anything we were working on. This was an amazing experience and I am grateful to Ddora Foundation, the Pennsylvania Historical and Museum Commission, Fairmount Park Conservancy, and Thaddeus Stevens College of Technology for this experience. To learn more about historic preservation internships and apprenticeships with the Conservancy, please click here. 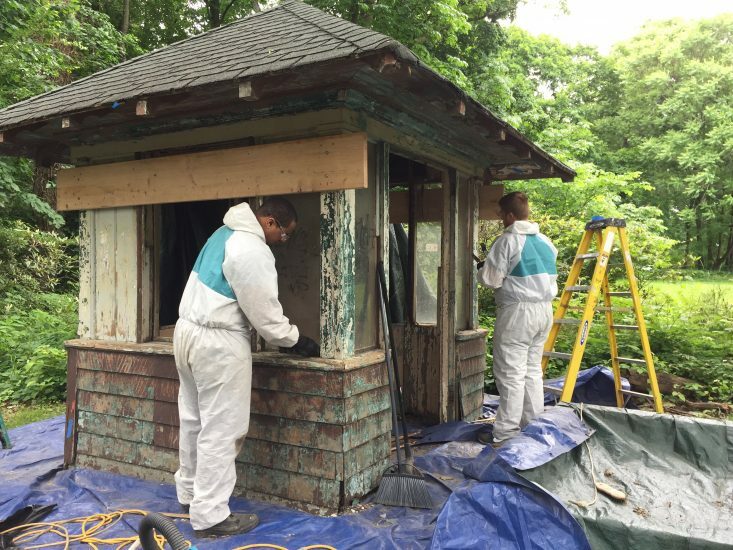 We’re restoring the East Fairmount Park Canoe House Guard Box!